The Kaduna State chapter of the Peoples Democratic Party (PDP) has rejected the results of the governorship election held in the state on Saturday, March 9. The party’s agent, Jerry Ishaya, made this known at the State Collation Centre in Kaduna on Monday after INEC declared Governor Nasir El-rufai as the winner of the exercise. It was reported that the former Federal Capital Territory (FCT) Minister scored 1,045,247 votes to defeat Isah Ashiru of the PDP who polled 814,168. Ishaya said the result was not the true reflection of the votes cast on Saturday and the party has rejected the result in all its entirety. He explained that PDP agents in Zaria, Kabau, Kaduna North, Kaduna South, Igabi, Soba and Lere Local Government Areas of the state have told the party leadership that card readers were not used at all. He accused the security agents and officials of the Independent National Electoral Commission of connivance to steal the mandate of the people. He said, “We have formally written the INEC that card readers were not used in those local government areas mentioned. “Our agents told us how security agents overpowered them in some areas. Recall that PDP on Sunday threatened to reject the results of the governorship and state house of assembly elections in Kaduna State. The opposition party said it would not accept rigged elections that do not tally with the wish of the people. The party said it has not yet decided whether to reject or accept the final results. 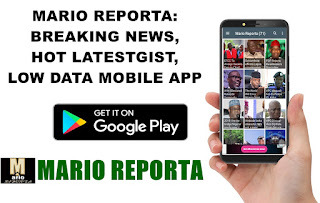 The state PDP chairman, Felix Hyet, who disclosed this at a news briefing in Kaduna, said there were reports of ballot box snatching at Chikun, Giwa and Birnin Gwari Local Government Area of the state.